I’d hoped to learn some Swahili while here but it turns out I already know a fair bit…you do too actually, mostly thanks to Disney. Shortly after the African continent became covered in Bantu speaking peoples, several thousand years ago, Arab traders began to appear on the coasts (the word Swahili is actually rooted in the word for ‘coast’ and ‘coastal dwellers’) from the Red Sea and present day Somalia as far south as Mozambique and Zimbabwe. These traders served as the link between the great Bantu civilizations, such as that at Great Zimbabwe, and those civilizations farther afield in Persia and Asia. Those languages, Bantu and early Arabic, combined to create Swahili, a language that even today shares 35% of its vocabulary with Arabic. It wasn’t until European colonizers arrived several hundred years ago that Swahili switched from the Arabic script to the more friendly Greek/Latin alphabet. Generally we use the word Jambo to say hello. Although this is correct, our understanding is that by using the word Jambo you’re saying hello but that you need to continue in English. It is the Mzugu (African word for Gringo) way of saying hello and locals will use different variations, like Siambo, amongst themselves for example. Really impress people by asking them how they are with a habarei thrown in for good measure. You’d be surprised just how far you can go with someone with only a handful of words. Zuri, good. Pole Pole, slow or slower. Supu means “soup” and chai, Indian influence there, means “tea.” Anything beyond that and pointing and hand signals can pretty much carry you through. Pole also means sorry and put together with a Sana means I’m very sorry. The word Safari is actually the Swahili word for a journey of exploration. Its meaning has no actual relation to the traditional animal safari. The most important word while on Safari….Simba, which rather unsurprisingly means lion. I now find it ironic that Simba in the movie had to be educated on what the Swahili words Hakuna Matatah meant when his own name was in Swahili as well. 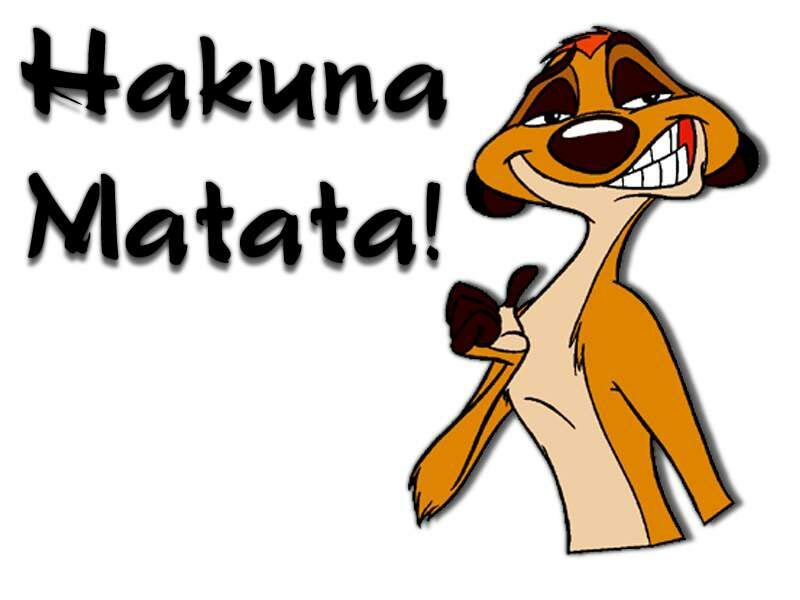 And yes, Hakuna Matatah is a wonderful phrase. It really does mean ‘no worries’ although Disney, putting it to song, made it into the ‘problem free, philosophy, for the rest of your days’ that we’re all most familiar with. just found out UF offers a summer accelerated Swahili class!!! its actually the only language course that fits my schedule so looks like our trip isn’t the end of my Swahili!